The main goal of the project Volume up the Love, I can’t hear you isn’t only a profit. 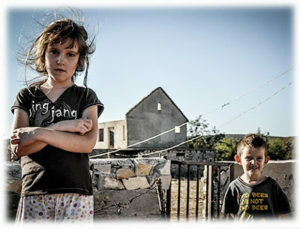 From each of our services, a certain part goes to the charity organization Serbs for Serbs. The organization was formed by a group of young and thrustful people, who are united by the common vision of helping families blessed by many children and who are aware of the fact that even a small help means a lot for those who don’t live in a material excess. As they say, they are united by the humane idea to help the poorest part of the Serbian nation. We are witnesses of the bad demographic situation of our nation, decreasing natality, increasing number of singles, abortions, accelerated aging of the population and generally bad economic condition of the households in the Balkan. On the other hand, nobody is talking about the families with many children which grieve by living in bitter poverty. Occupied by their everyday struggle for survival, they are being humble in their desire for implementing rights which belong to them. Their life stories, fears and problems are identical, but almost invisible and unheard in order to gain the attention of the public, media and even state. Cooperating with this organization, the goal is indirectly influence the crucial problem of our environment – a rapid decline in birth rates.